As with an information website, there's far more to selling online than picking a trendy, off-the-shelf theme and hoping for the best. Marketing the site effectively is about succinctly saying the right thing to the right people using a careful balance of overt communication and subconscious cues, and then ensuring that the site is found when prospective customers use a search engine. Each of these aspects requires different skill-sets, and each is a discipline that we have been practising for decades. Although a dedicated ecommerce site is a very different animal to a regular website, geared up as it is to selling products and little else, the process we undertake when building a new site is quite similar i.e. 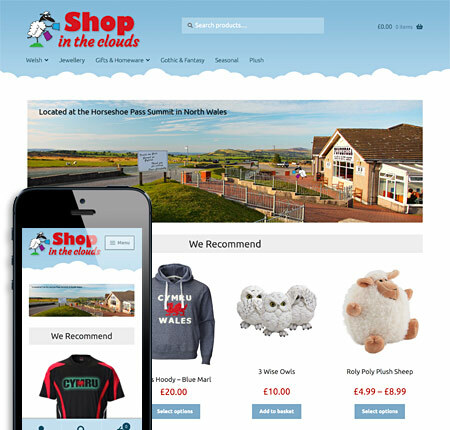 we endeavour to understand your business and marketing strategy, helping you to define one if necessary; we style the site to suit your unique branding and positioning requirements; and then we help you to populate it with products in the most effective, search-orientated way. 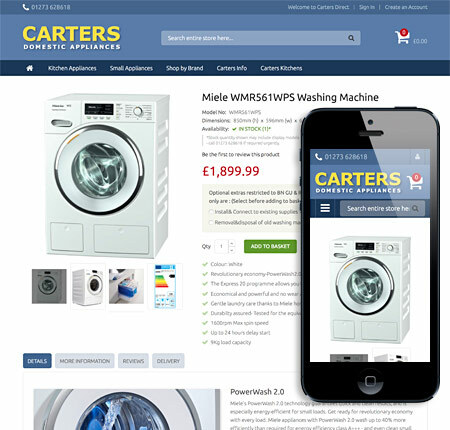 The cheapest, most straightforward ecommerce option available is to add an ecommerce module to a Site System website. 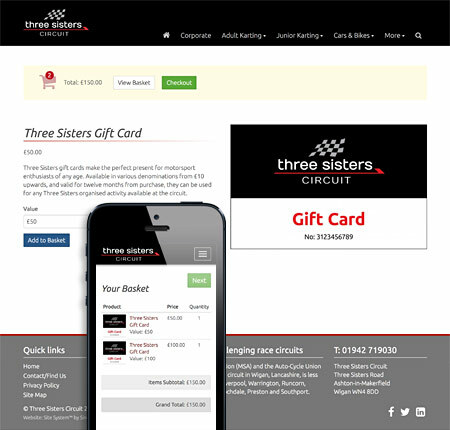 This is usually the best solution for those wishing to sell a small range of items as a secondary feature for an otherwise regular website, for example gift cards or branded merchandise. 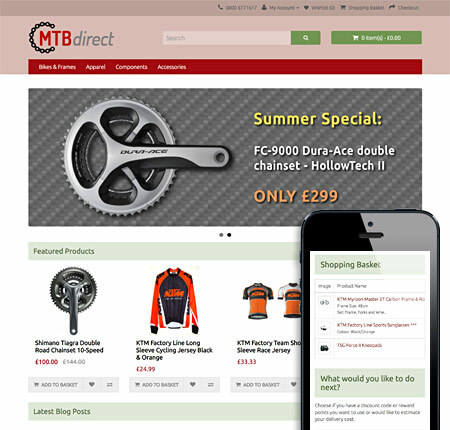 Most of the basic online shop features are present including a proper basket and checkout, product options and secondary photos, but not many of the sophisticated features that you might be used to from the likes of Amazon. The module uses the Paypal payment gateway so you will need to open a Paypal account accordingly. The set-up and annual costs are additional to a regular Site System website, and start from just a few hundred pounds per year, depending on your specific requirements. The WooCommerce online shop engine is reputed to be the most popular ecommerce platform on the web, and having previously tried most of the other mid-range engines available, we find it to be perfect for small- to medium-sized operators without dedicated IT staff. As with everything we do, we create a totally unique look and feel for the site, based on the branding and marketing needs of each particular business. Although WooCommerce is not good for handling thousands of products, and it cannot be integrated with back-office or warehousing systems, it is nonetheless a very cost-effective solution for the majority of small traders. The set-up costs for this option average around £2k +VAT, and the annual hosting and licence fees tend to be similar, but please speak to us about your specific needs, as each client's circumstances are unique. Magento 2 is a beast of a system, requiring dedicated hosting on a specially configured platform. It is not easy to understand, it uses vast amounts of server resources, and the codebase is one of the most complicated around. However, if you want to sell thousands of products to a large audience; if scale is your goal; if you want to run multiple shops from one admin area; or if you need to integrate your shop with a retail or warehousing system, there's not much that can touch Magento 2 in terms of flexibility and robustness. There's a reason Magento powers twice as many top retailers as any other engine, but running a Magento 2 shop is not for the faint-hearted and not something that can be done on a tight budget. If you recognise the need for an enterprise-level ecommerce solution, call us to chat about your requirements as we have the expertise and hosting facilities to tame the beast and make it dance! Sinclair Design has been a central partner to our business since 2001. 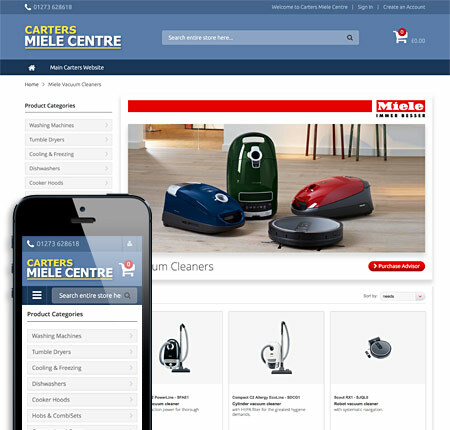 They provide an excellent website solution that not only reaches customers outside of our traditional geographical trading area, but doubles as a useful sales tool for the staff in our various branches. We have found Sinclair Design to be professional and innovative, and have no hesitation in fully endorsing their services and expertise.